EARLY BIRD SPECIAL! Book the first trip of the day and you save! 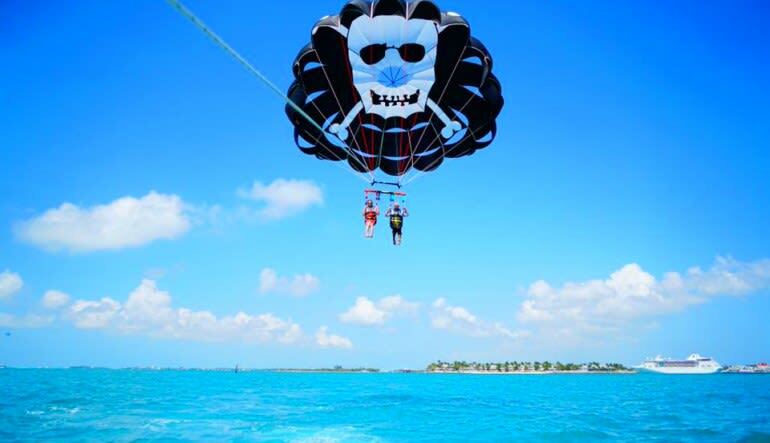 Discover parasailing above the crystal clear coast of Key West, Florida. Fly up to 300ft above the water and glide through the air! EARLY BIRD SPECIAL! Book the first trip of the day and you save! 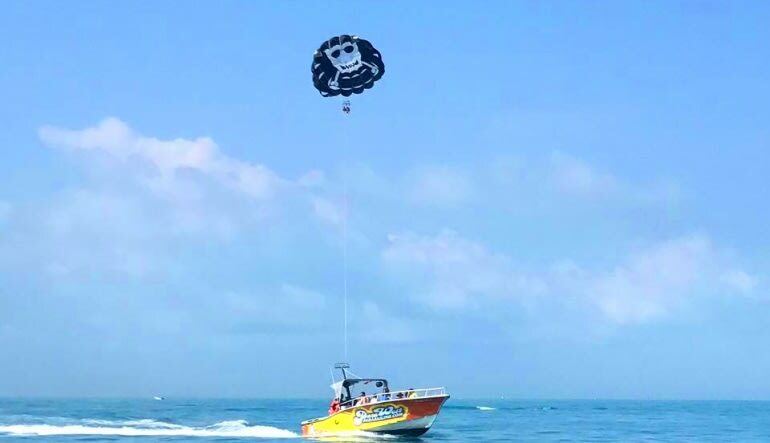 Discover parasailing above the crystal clear coast of Key West, Florida. Fly up to 300ft above the water and glide through the air! Key West is the southernmost point in the United States. Thanks to its location it is a subtropical paradise teeming with natural beauty. What this means is that you have the opportunity to see lush wildlife and beautiful vistas from 300ft in the air. Free beer and water included! 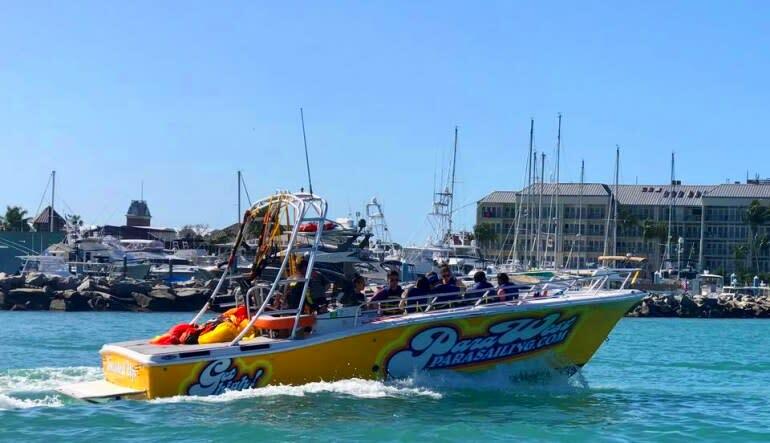 Longest parasailing flight time in Key West! How wet you get on this experience is totally up to you. Looking to stay dry? Just tell your captain. Wanting to dip a toe in the sundrenched saltwater? No problem! 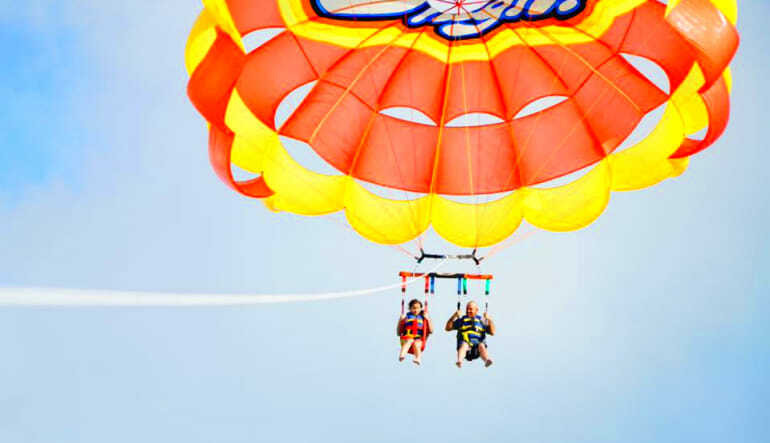 You’ll be harnessed into a parasail for a 10-12 minute flight. The entire experience can last up to 1 hour with travel time in the boat. From 300ft in the air you might spot wildlife in the waters below. You’ll certainly get remarkable views of the famous Seaport and incoming cruise ships. 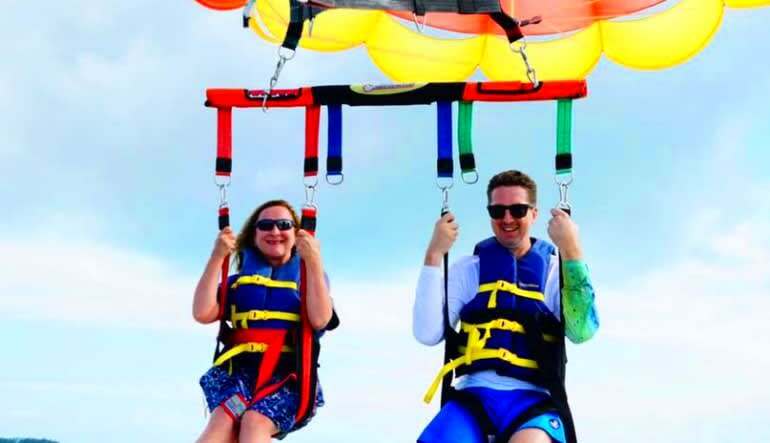 Parasailing in Key West is fun for the whole family. Book your flight now! This is the third time I go parasailing. The others were in Hawaii and San Andres, but Key West was the best, cause the staff was great! The only thing I would advise is to improve the photos quality. Thanx for the great time! Thank you for a wonderful day!!! Everyone was very helpful and funny.i would book again with this company!